Catch a few laughs at Planet Gemini when comedian Todd Paul performs his comedy, juggling and magic act. Stay afterwards for karaoke and dancing. Friday and Saturday at 9:15pm. 2110 Fremont Street, Monterey. $10-$15. The Monterey Symphony presents the season&apos;s third concert "Charismatic Glow" this weekend at the Sunset Center in Carmel-by-the-Sea. The classical concert will include works from Rachmaninoff, Dvorák and Giménez all conducted by Max Bragado-Darman. Saturday at 8pm and Sunday at 3pm. San Carlos St at Ninth Ave., Carmel-by-the-Sea. $29-$79. No need to be bummed that Valentine&apos;s Day is over! The 10th annual Chocolate & Wine Tasting Benefit at the Monterey Library features raffle prizes, a silent auction, live music, wine tastings, and tons of treats for that sweet tooth. 7pm-9pm. 625 Pacific Street, Monterey. $30 in advance , $35 at the door. Take a trip back to 1964 at the Sunset Center this evening. "1964... The Tribute," aka the "Best Beatles Tribute on earth" brings the fab four to life performing hits from the pre-Sgt. Pepper era . 8pm. San Carlos St at Ninth Ave., Carmel-by-the-Sea. $48-$58. Enjoy a heart-healthy hike this morning with cardiologist Dr. Steve Brabeck. Today he sets out for a 3 mile hike beginning at The Quail & Olive in Carmel Valley. After the scenic jaunt head back into the shop for heart healthy olive oil sampling and blood pressure tests. 9:30am-11am. 3 Pilot Road, Carmel Valley. Free event. 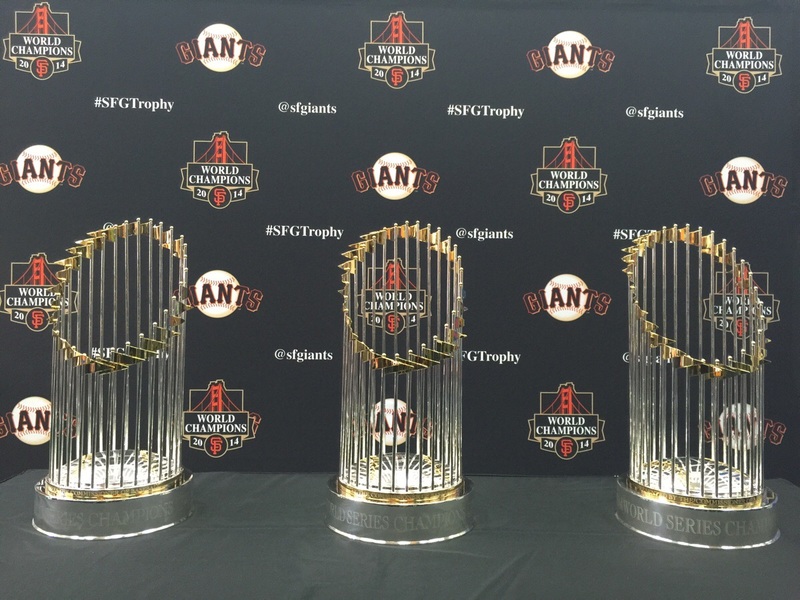 Make your Facebook fans jealous with a pic of you and the San Francisco Giants World Championship Trophies. The trophy tour stops by the Marina Airport Hangar today where eager fans can grab a shot with the iconic statues. 11am-1pm. 781 Neeson Rd and Imjin Parkway, Marina. Free event. Dust off that cocktail dress for the 2nd Annual Black & Gold Pre-Oscar Party at Cibo Ristorante. The Hollywood inspired event will be full of glitz, glam and entertainment to get you ready for the big awards show on Sunday. 7pm. 301 Alvarado Street, Monterey. Free admission. Local favorite folk band Songs Hotbox Harry Taught Us stops by the Fernwood Tavern in Big Sur tonight. 10pm. 47200 Highway One, Big Sur. $30. Sample your way through the tasty restaurants of Pacific Grove at the 25th Annual Great Taste of PG! The Inn at Spanish Bay in Pebble Beach will be bustling with an array of scrumptious bites and savory wines from jeninni kitchen + wine bar, The Beach House, the Grove Market and more! 4pm-7pm. 2700 17 Mile Drive Pebble Beach. $55.